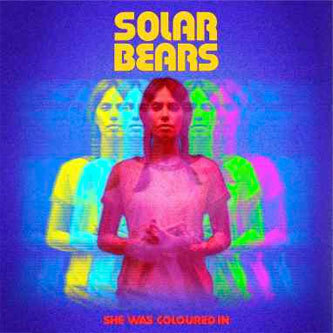 Planet Mu present the debut album of pastoral electronica from Solar Bears. Their 'Inner Sunshine' 12" gave us a sweet taste of what to expect, and the full deal is a very pleasant experience, crossing untangled lines between IDM, folktronica, pastoral kosmische and soundtracky synth music. Their music calls to mind everyone from Emeralds and OPN to Bibio or Morricone, but with an unpretentiousness, naive, and intuitive feel to their melodic arrangements. There's a seam of new age soul to 'Twin Stars', while the flourish of desert guitars over 'She Was Coloured In' justifies the Morricone comparison. 'Primary Colours At The Back Of My Mind' meanwhile conjures imagery of rolling green hills and that, whereas 'Hidden Lake' glistens with the buttery finish of a Bibio record. 'Head Supernova' is about the best you'll find here, like a holistic version of Emeralds with a tripped out agenda. Lush.